Quick Connect. quick - simple - efficient. Download "Quick Connect. quick - simple - efficient. 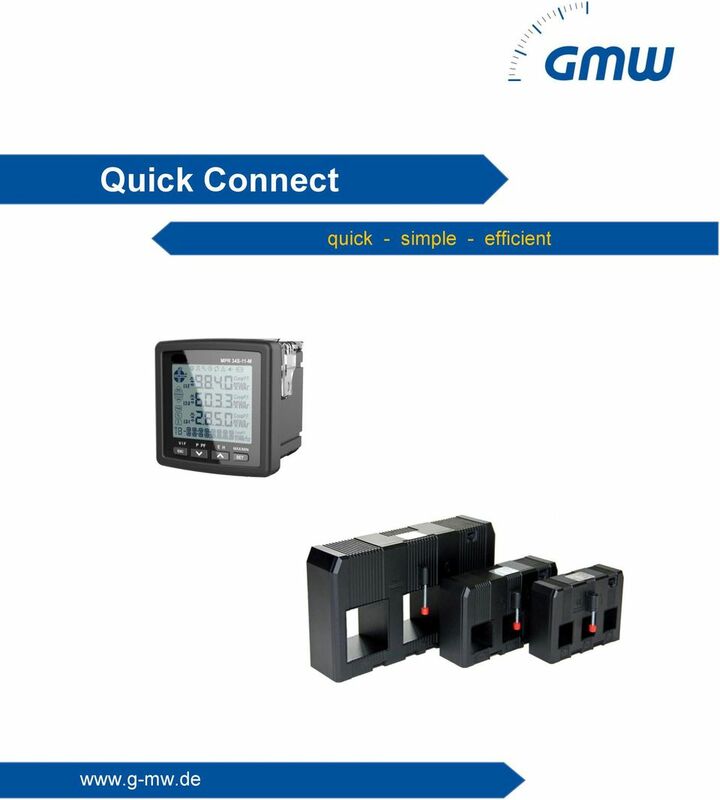 www.g-mw.de"
3 Innovative connection technology to plug three single-phase current transformers to multifunctional power measuring unit Quick Connect Your advantages when choosing Quick Connect - Considerable reduction of working time because of less wiring and installation work - Vast saving of labour costs through faster wiring - Elimination of connection errors due to simple Plug n Play technology - Increased safety and less downtime due to integrated protection circuit, which allows to connect the three single-phase current transformers even when the grid is energized - Large current range from A with only three different types of current transformer Quick simple efficient Safe and reliable Quick Connect the modular power meter system of GMW How it works: 1. Choose current transformer (three construction types, selectable from 60 A up to 1500 A) 2. Measuring unit MPR 3 in size 72x72 mm 3. 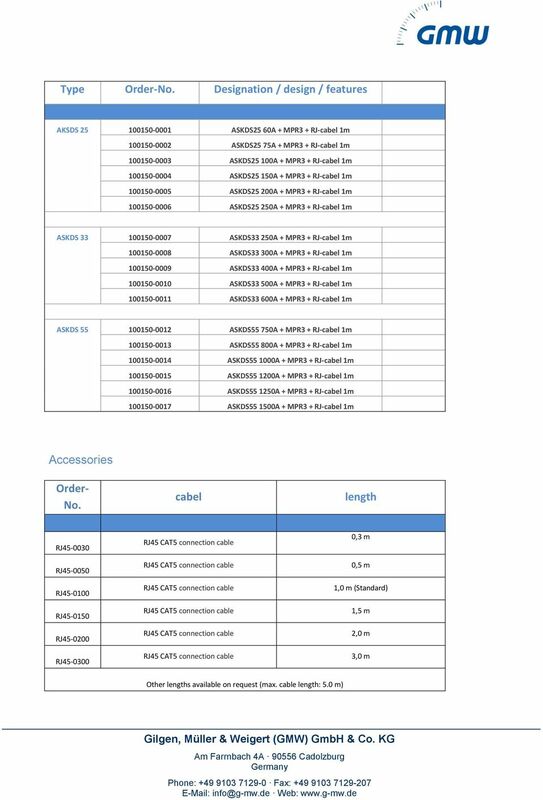 Pick the required cable length (0.3 m max. 5.0 m; standard: 1 m) 4. 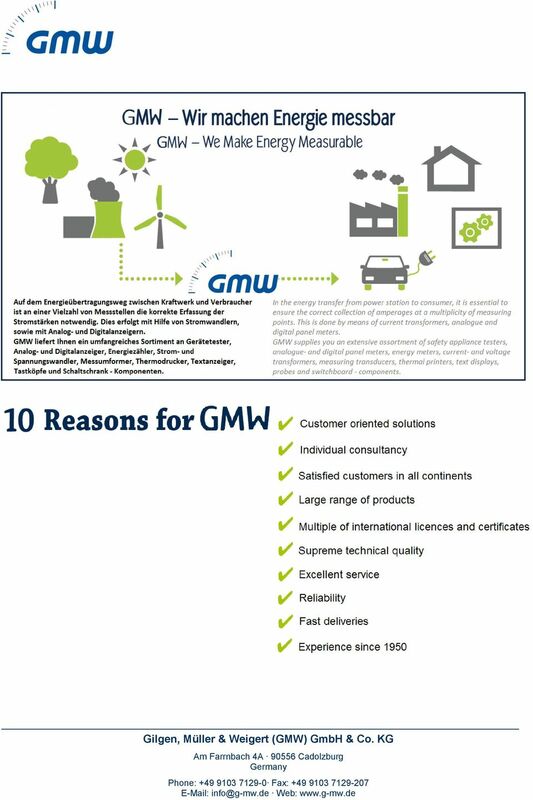 Send all information to GMW and you re done! You have never set the components for a multifunctional power meter system faster. 4 Multifunctional power measuring unit MPR 3 with innovative connection technology Quick Connect Features / benefits - Simpler wiring of the three single-phase current-transformer-set ASKDS via 330 mv voltage output for equivalent primary current from 60 A to 1500 A - Replaces a variety of analogue measuring devices, along with significantly less wiring expenses - Storage of minimum and maximum values allows monitoring and error analysis - Due to a digital in- and output as well as a pulse output a connection to a power management system is possible - Additionally the device has a Modbus-RTU interface (RS485) Application Energy is becoming more and more expensive and is thus a steadily growing cost factor. 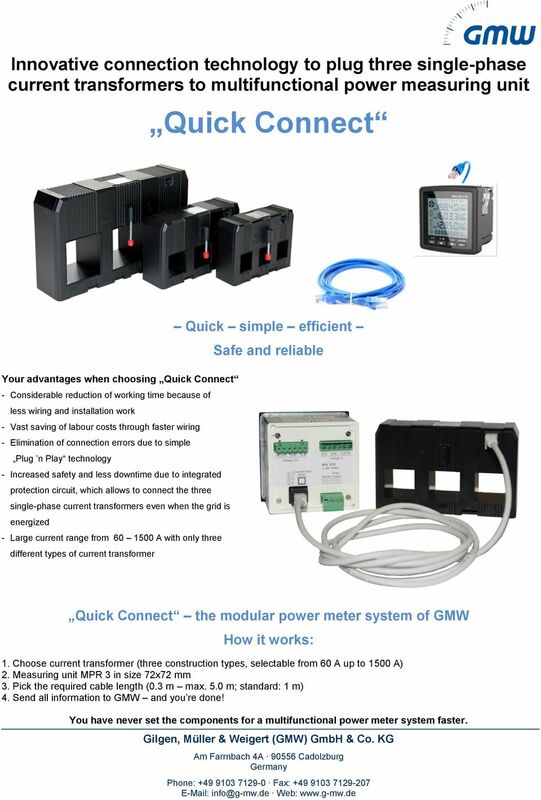 In order to detect high-level power consumers, GMW GmbH has developed the multifunctional measuring unit MPR 3 (72x72 mm) in combination with the three single-phase current-transformer-set ASKDS, which are especially designed for monitoring of 3- or 4-line networks in building technology. All relevant network data can be measured and displayed. 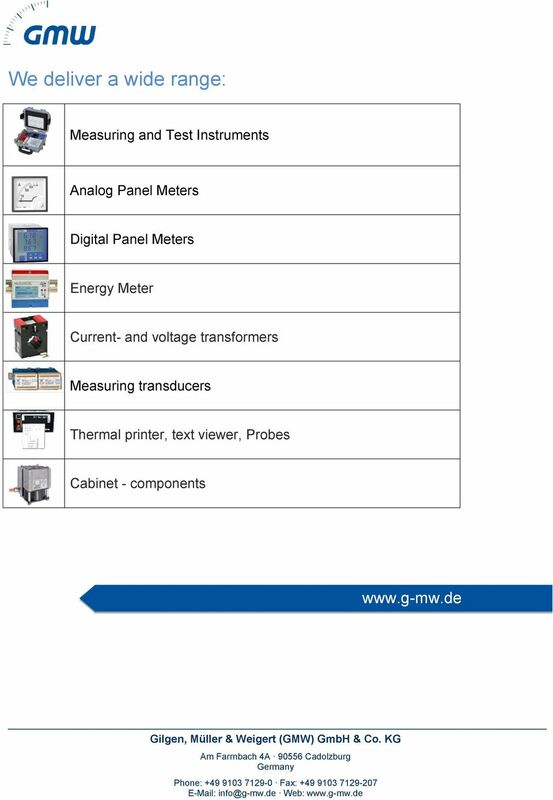 Measurements The following measurements can be displayed with the multifunctional measuring unit MPR 3: - The current values for voltage, current, frequency and power factor - The real power, apparent power and reactive power for each phase and for the whole grid - The minimum and maximum values for voltage, current, real power, reactive power and power factor for each phase and for the whole grid Additionally integrated into the device is a 4-quadrant energy meter for the real and reactive energy, two operating hours counters and a rotary field direction display. One of the operating hours counter can be reset manually. The device is operated by using four buttons and the menu on the display. All the outputs given above are galvanically isolated from the measurement inputs and the auxiliary voltage. 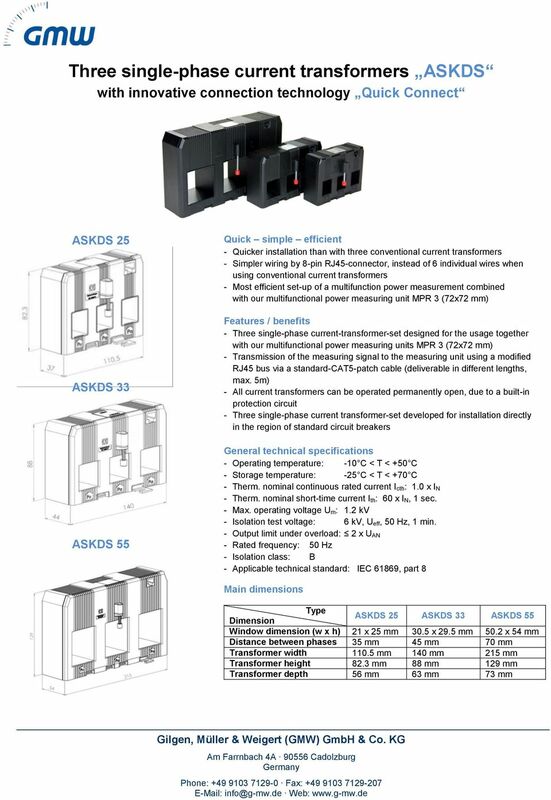 8 Connection (examples) Four-wire, three-phase system, current transformer set ASKDS and measuring unit MPR 3; direct voltage input L1, L2 and L3 with safety installation (fuses and circuit breakers). Your Advantages For safety application up to PL e / Cat. 4 e.g. SIL 3 Manual or automatic start 0225592. * see variants. Applications. Application : The RISH CON - Hz transducer is used for frequency measurement. The output signal is proportional to measured frequency and is either load independent DC Current or load independent DC Voltage. 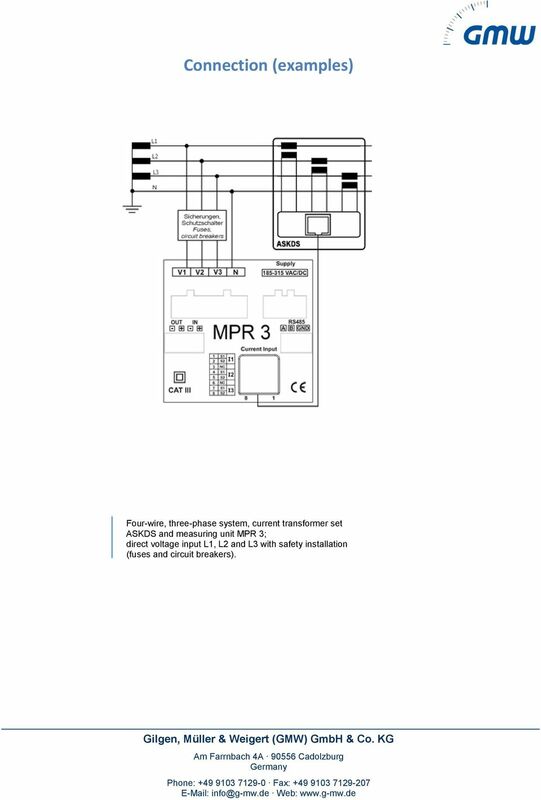 This Quick Start Guide is designed to familiarize the user with the connection and configuration of the DTS-305 DIN rail mounted single / 3 phase power & energy meter with RS-485 or TCP communications. HSP GmbH Zum Handwerkerhof 2 90530 Wendelstein Tel. 09129 / 2852-0 Fax: 09129 / 2852-11 Web: www.hsshsp.de EMAIL: HSP@hsshsp.de NTG-3000. T M. IRDH275 Series. 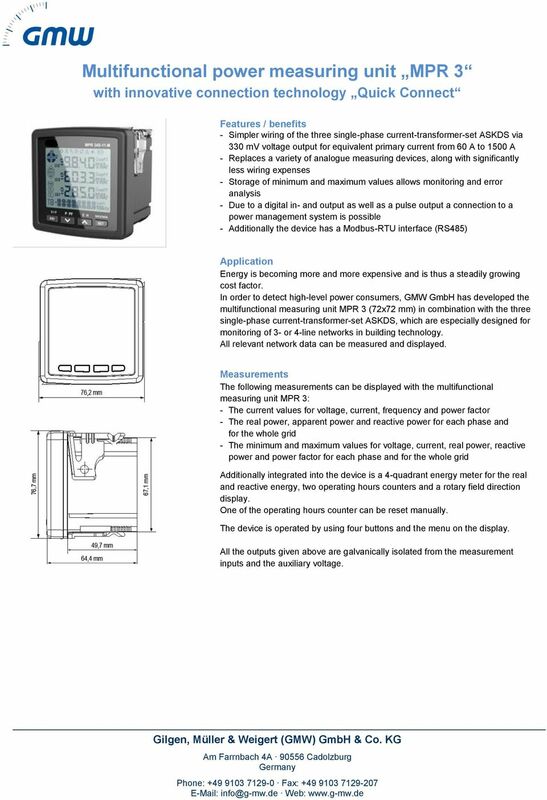 Digital Ground Fault Monitor / Ground Detector For Ungrounded (Floating) AC/DC Systems. Technical Bulletin NAE / 08. CONTROLS DATA MANAGEMENT PROCESS AUTOMATION EUROCUBE. 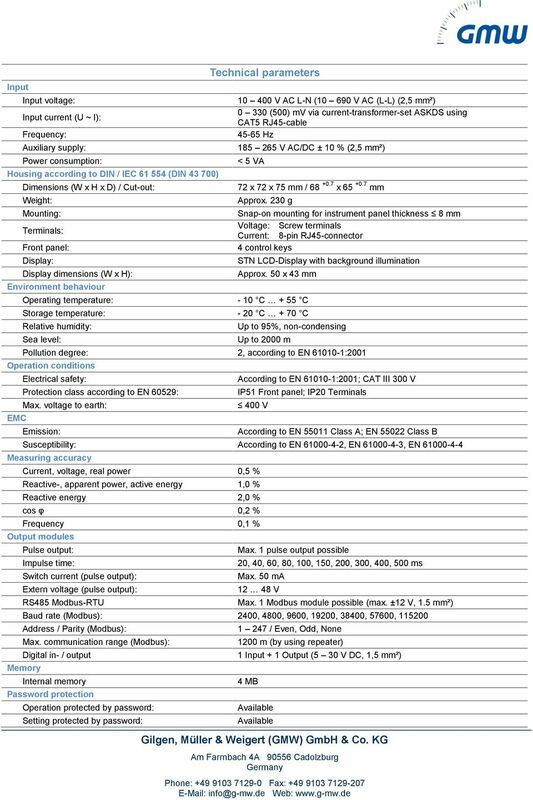 General purpose single phase thyristors and solid state relays Product data. H/L = Power supply. FN = Nominal Frequency. RN = Rated value of output burden. UN = Nominal input voltage. IN = Nominal input current. Application : The transducer RISH CON - CA/CV (Fig.1) converts a sinusoidal AC Current or AC Voltage into a load independent DC Current or a load independent DC Voltage proportional to the measured value. 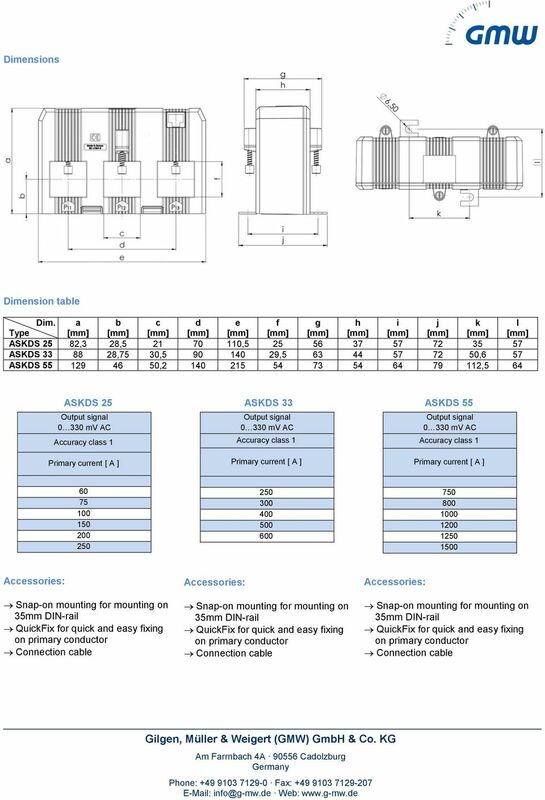 Analogue Input, -fold, MDRC, GH Q605 005 R0001 The analogue input is a DIN rail mounted device for insertion in the distribution board. It is connected to the EIB via the bus connecting terminal supplied. Product and Applications Description. Application Programs. Example of Operation. GAMMA instabus Technical Product-Information.